BBA program emphasizes the major challenges and opportunities in the field of management to produce the graduates that fulfills the middle level managerial duties/tasks in any organization. In this pursuit, TU Faculty of Management (FoM) aims to develop a networking with management institutes in the country and abroad to exchange new knowledge, technology, and methods of achieving higher level efficiency in management of business and public entities. 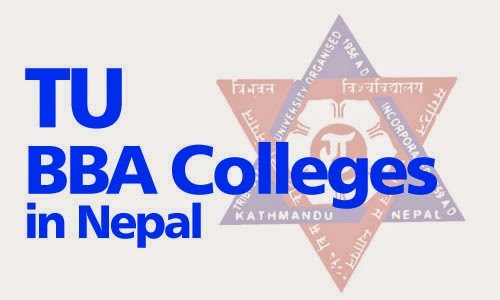 The mission of Bachelor in Business Administration (BBA) Program is to develop socially responsive, creative and result oriented management professionals to fill up the middle level managerial positions in the rapidly growing business sector in Nepal and aboard. > Prepare students to take-up middle level managerial positions in the business sector. > Develop student's skill in object-oriented business management capable of understanding and solving practical business problems creatively. > Provide professional management education with a blend of computer and management information system courses. > Prepare students to proceed onto post graduate level study in business administration. > successfully completed a twelve-year schooling or its equivalent from any university, board or institution recognized by Tribhuvan University. > complied with all the application procedure. Shanker Dev Campus (SDC), a leading constituent Campus of Tribhuvan University (TU), is one of the few campuses, which has been offering quality higher education in Management for the past many years. To its credit, SDC is probably the first choice for the general management education in Nepal, mainly due to its commitment to quality education for the future managers of Nepal. Not surprisingly, therefore it has received accolades either as the best or one of the best schools in management education including by some of the renowned business magazines of the country. It runs undergraduate and graduate courses in business and management for example Bachelor of Business Studies (BBS) and Master of Business Studies (MBS). College of Applied Business, founded in 1998, by a group of experienced educationists and professionals is a non-profit institution committed to excellence. The college believes that competent and excellent manpower is the pre-requisite for overall development of the nation. Besides, well-versed students with high moral values and in-depth knowledge of subjects will be better placed in the society. They will also find it easier to pursue further education at learning centers of repute. CAB has been applying appropriate module and technique in the teaching curricula so as to make students competent in their fields. Kathmandu Model College (KMC) established in 2000 right in the heart of the capital city. Bagbazar has carved out for itself an enviable niche at the summit of the best colleges in the country. KMC has earned its place of price through the vision and dedication of a team of academics and professionals who have promoted it, the skill of its panel of professors who possess cutting edge knowledge in their fields, and, above all, the brilliance of its students who have been consistently turning in sterling performance every year. Established in 2054 B.S. and managed by well-experienced and smart academicians, researchers, planners, professionals, entrepreneurs, and socially reputed personalities, Universal College has continued to strive for the highest standard of education in Nepal.